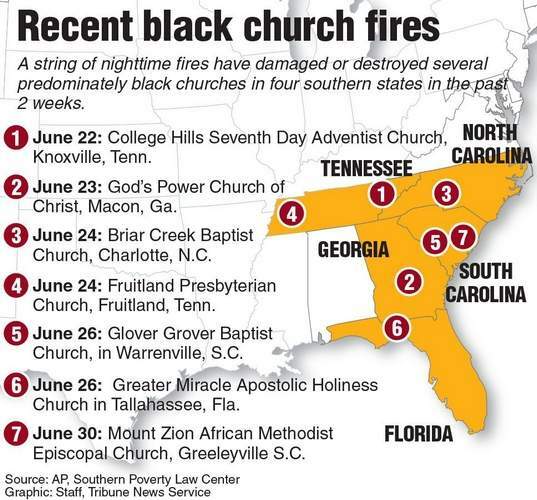 Over the last few days, I’ve seen a number of stories in national media reporting on fires at black churches, predominantly in southern states. (Some reports include a fire at an Ohio church, but many don’t.) Graphics like this one push the narrative. In fact, many readers will draw their conclusions on the map alone. But after reading through one article, it struck me that the narrative included virtually no specific information about any of the fires. So out of curiosity, I looked up local news reports on all eight fires. As a journalist, my findings disturbed me. The national stories create a false narrative. In fact, only three of the eight fires were ruled arson. And even in those cases, investigators found no evidence of a hate crime. My point here is not to deny the existence of racism in America. It clearly exists, but that’s a completely different discussion. But I want to point out how easily people with an agenda can cobble together unrelated events and create false impressions. The writers of these church burning stories approached their work with a preconceived idea – a narrative they wanted to advance. By linking together unrelated events and leaving out important facts, they essentially photoshopped their words to create an image that does not exist. Here are the causes of the eight fires cited in these national articles. Elyria, Ohio – Firefighters don’t believe it was intentional, according to a report released by the Elyria Fire Department. 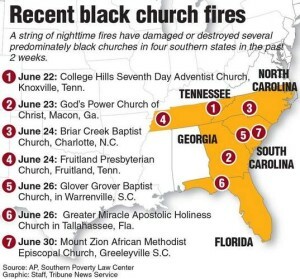 Warrenville, S.C. – State fire investigators said they have not been able to determine a cause to that fire at Glover Grove Baptist, or an exact origin. They said they could not eliminate all accidental ignition sources to determine a cause. Investigators also said they did not find any criminal intent. Macon, Ga. – Arson, Local officials insist they found no evidence of a hate crime. Church was recently burglarized and a sound system stolen. There is some speculation the fire was set to cover up the break-ins.